Rocket makes one of the best espresso machines in the world and what's best from it is that their machines are, "made by hand." The detail of creating one of the finest espresso machine is manifested in there. The Rocket Appartamento stands out among others. 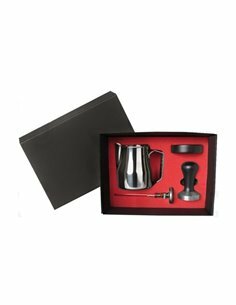 Aside from being compact espresso machine designed for environments where space is at a premium, it also has an outstanding performance for both espresso and milk steaming, ease of use, and the fact that it comes with all the accessories needed to get started. It made a consistently flavorful shot of espresso, and it was easy to set up and use. Using the Rocket Appartamento is a breeze, even if you’ve never touched an espresso machine before. The Rocket Appartamento contains heat exchanging capabilities. 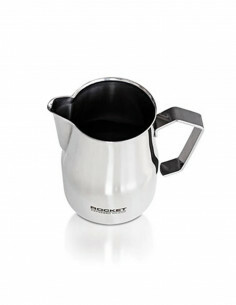 This allows the user to steam espresso shots and milk at the same time. A wonderful time-saving feature not found on most single boiler espresso machines. Built for consistency, HX espresso machines have become the standard for espresso at home as they yield consistent espresso shots all day long. Heat exchanging (HX) is pretty standard for Rocket Espresso Machines. 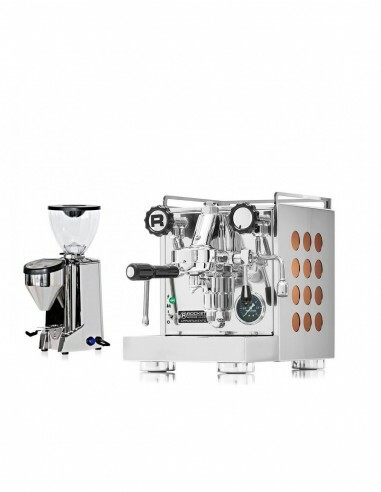 An HX machine will allow you to steam milk and brew espresso shots simultaneously. Designed for consistency, a heat exchanging espresso machine will deliver consistent espresso shots all day long. Durable, consistent and economical, vibratory pumps are the most common pump found in home espresso machines. The only downside is the noise level. Vibe pumps are a tad noisier than their rotary pump brothers. 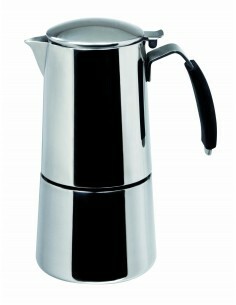 The quality of espresso, however, is more than comparable on a vibratory pump espresso machine. The Rocket Espresso Appartamento is not plumbable. It does, however, come with a large 2.5 liter removable water tank. 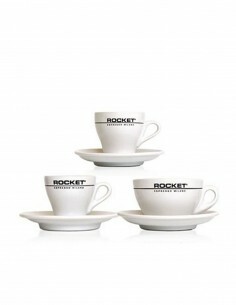 Rocket Espresso had one thing in mind when designing the Appartamento - reduced size without sacrificing quality. Compared to other Rocket models, the Appartamento is more compact. 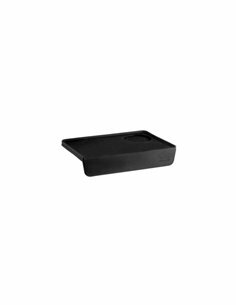 Dimensions: 10.5" wide x 17" deep x 14.25" high including cup frame surround. 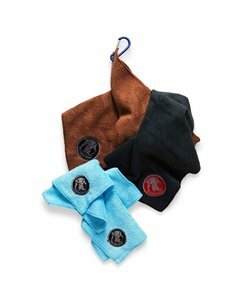 Ideal for anyone working with low-hanging cabinets or limited counter space. The Rocket Appartamento White will look stunning in your kitchen but won't take up an unnecessary amount of counter space. 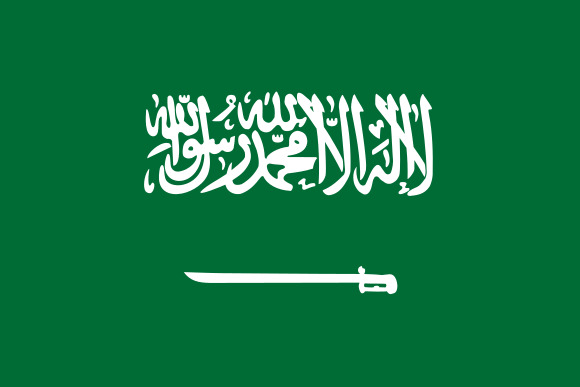 Commercial-grade group head. Made for consistent shots. If it doesn't contain an E61, look elsewhere. 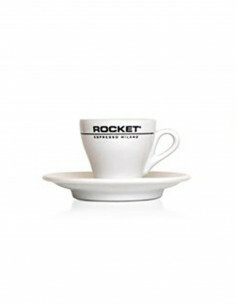 The Rocket Appartamento White, like all Rocket Espresso Machines, is constructed from the finest, most durable materials. The E61 group head is no exception. Beware! Don't let the name fool you. You still won't want to touch this thing after use. It's still relatively hot. The Appartamento steam wand has an attached grip to make sure you aren't touching it directly after use. Style - The Appartamento is one instagramable espresso machine. Featuring an all stainless steel body and either copper or white side paneling, the Rocket Appartamento is a stud. Place it in your kitchen and watch the compliments pour over. Shot Quality - Shot quality on the Appartamento is impressive. Brewing shots with this lever machine is also incredibly easy. The Appartamento, unlike other Rockets, only contains one gauge - a boiler pressure gauge. For brewing, this is great but when it comes time to steam, it's a little inconvenient not to have that gauge up there however this will only really impact you if you're someone who's going to be brewing and steaming multiple drinks in a row (being able to see your steam pressure and how quickly it recoups is nice - can't do that on the Appartamento). A True Beauty - Available in copper (well, they really look bronze in person) or white, the Rocket Appartamento will instantly become the centerpiece of your kitchen that'll yield endless compliments and questions of where you got it. 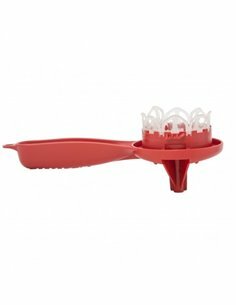 Most brands only give you poor quality, plastic tampers. Not Rocket. 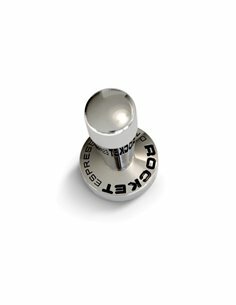 They've gone all out and include a Rocket Espresso metal tamper. Great, great quality.